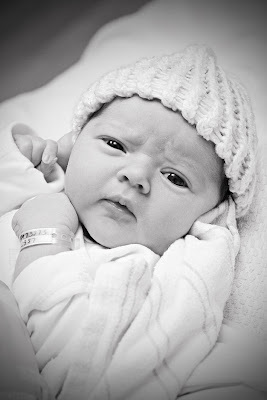 Margaret Evans Photography: Newborn Bliss! When our family was in Arizona last week, my sister-in-law asked me if I wanted to take pictures of her friend's newborn baby girl. Um....YES! 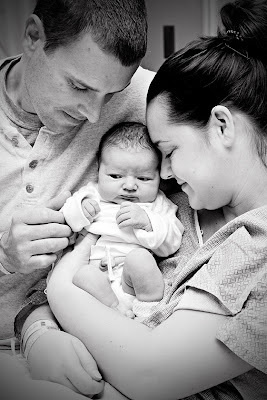 We headed over the hospital just hours after Baby Addison was born. 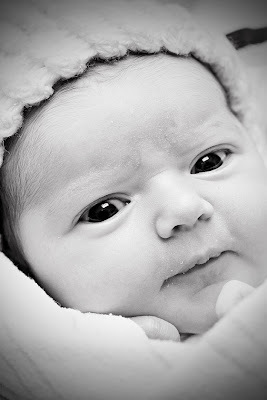 She was so cooperative and wide awake for her first portrait session. What a little sweetie! Here are some of my favorite shots. Aww she's such a cute little baby. You have some nice shots here. TFS. You did an awesome job! I just want to kiss those little feet....so cute! OMGoodness I love the feet and her little scrunched up face in the third one. Great job! Wow, she is very alert for a newborn. Great work! These are adorable! I LOVE the one of the little feet! These are perfect. So tiny and oh so sweet!! Those little toes... awwww! What a beauty! I love how fresh she is from God here--very sweet. ohhh! I love the little wrinkly foot photo. What a great way to start the New Year. Great captures TFS! Oh these are so adorable Margaret!! I love the conversion and that feet shot-all of them!! Now those are beautiful first photos you want to show everyone. What luck. Oh my goodness, isn't she just beautiful!! And she appears to be so alert to be such a new little one!! I love the little 'frownish' look she has on a few of them. She is absolutely adorable!! I really, really love those wrinkley feet, too! Fresh and clean and oh so new! Oh, how totally adorable! What a perfectly sweet baby, with the most kissable feet! 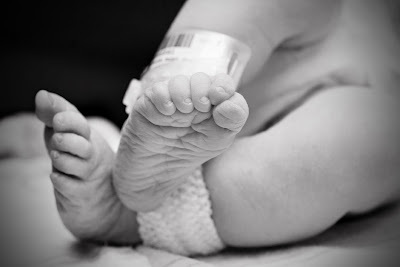 I love babies feet! Great conversions! You have some really nice shots here. Oh I just LOVE it when they are tiny like that. 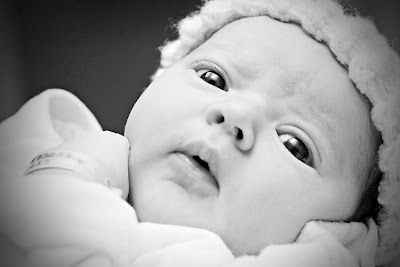 Like others have said...its crazy to see a newborn so alert. I love those sweet eyes. These are sweet, sweet, sweet Margaret!!! You did an awesome job!! 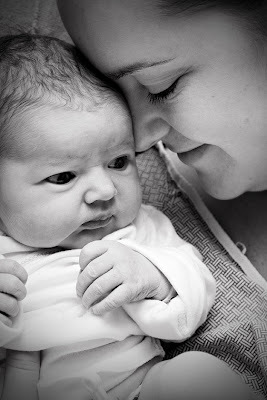 Margaret you captured such sweet moments and the catchlights are amazing! Margaret, these turned out so great!!!! Love them in black and white!